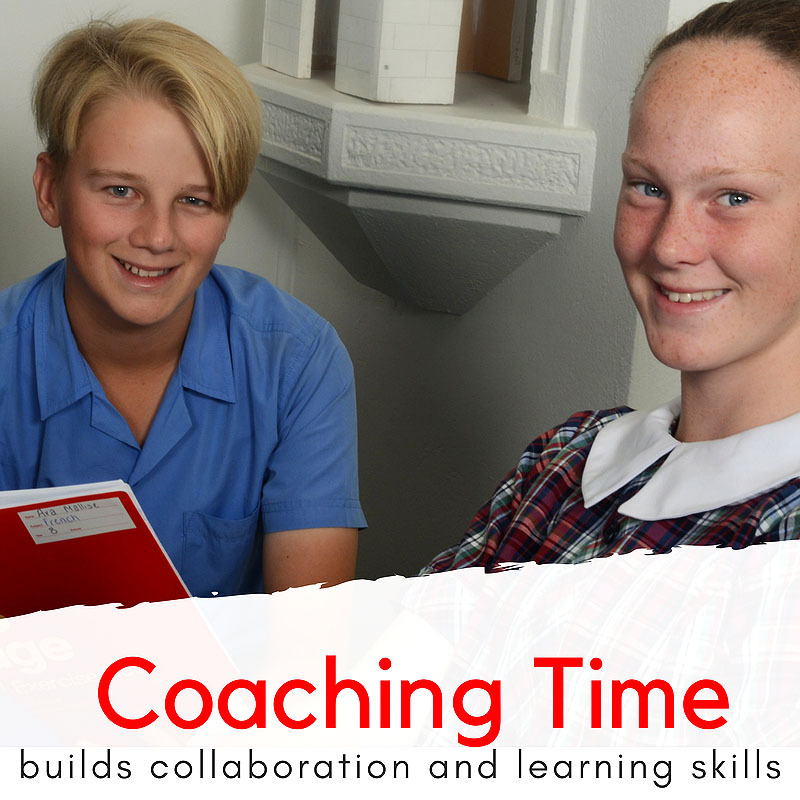 Students have the opportunity to work with a coach (Homegroup teacher or Academic Care & Wellbeing Coordinator) to make a learning plan. The plan is shared with all teachers of the students and with the Data and Intervention team to ensure a collective responsibility for student learning and wellbeing. On Monday mornings the whole school meets to start the week and highlight successes, opportunities and events. Tuesday to Friday mornings begin with coaching time, a half hour in homegroup teams to prepare for the learning and challenges of the day. Self-regulated students get straight to work. Staff support students to identify and start the most important work. Students variously work on assessment tasks, on-line literacy and numeracy tools, reading, coaching conversations and more. Staff work to ensure that those who most need support get disproportionate access to expert assistance.